Shifting From Dedicated Server to Cloud Server demands to define what are the basic features in a IaaS cloud infrastructure and what is the net profit. The market for web hosting services must constantly adapt to the demands and the change of web technologies : years ago, the traffic supported by the majority of existing web sites was very low, today any WordPress blog or amateur blog can receive tens of thousands of hits per day, thanks to social networks and to a substantial increase in the number of people connected to the network. Over the past 5 years we can say, that the web literally has been changed in the context of sharing of content and the explosion of mobile phones, which are now the main driver of growth in the number of searches online and thereby visits; always websites and applications that record a high number of users and high traffic in terms of GB used are targeted at solutions dedicated servers, real physical servers in the data center activated and totally dedicated to the customer. But, the thought Shifting From Dedicated Server to Cloud Server often arrives. This scalable solution has allowed millions of websites to realize infrastructure consisting of multiple servers to support an ever-increasing volume of traffic, dedicated servers are still the preferred solution from companies and professionals which must provide to hosting solution to multiple websites within a single account, shifting from dedicated server to cloud server clearly is not any option for them. Cloud computing, in this evolutionary transition, has introduced few new things from technological point of view but it has totally changed the way they are managed; eliminating the need to invest in hardware to support the growth of a project, completely losing flexibility to increase or decrease the number of users to whom services are provided. In this article we will see what are the reasons to consider cloud computing as a tool and the point shifting from dedicated server to cloud server and when they are still the best choice, even though cloud computing has had a major explosion in terms of marketing, the number dedicated servers sold by the hosting provider has not been decreased, what is often changed is the way of the use of the physical machines and like so the type of infrastructure is being designed. When we are talk about cloud computing in this article we are referring to Infrastructure as a Service or cloud servers that provide complete freedom of use of the system, with root access and dedicated resources. Before shifting from Dedicated Server to Cloud Server, the individual dots that make up this article is also useful to define what are the basic features to appear in a IaaS cloud infrastructure : in all these products are almost always a model of payment pay per use of resources, with rates per hour or minutes , this is accompanied by the possibility to increase and decrease the resources in real time with the addition of more core CPU or GB of RAM and finally the power to initiate cloud server in real time, using them only for the time necessary and then deleting them. Finally, many platforms provide access via API, a tool that allows you to interface the cloud infrastructure management directly within the software. Because the marketing campaigns often misleads, people has assimilated the concept that cloud computing may help them to save money compared to traditional dedicated hosting solutions, compared to dedicated servers and colocation servers. This is not entirely true, the cloud computing infrastructures in fact have among their main advantages flexibility and scalability, while the cost is often higher than a single dedicated machine, with the same resources allocated, the two camera has a different type of lens and not always cloud computing should be forced to those who must need dedicated resources. Demand for storage is such a need. In this case the dedicated server may be the optimal solution, as long as you have clear limits in terms of backup and data security. The current dedicated servers have 500 GB to 2 TB disk space and the ability to insert multiple disks on each server. This means that you can get a low cost systems with 2 or 3 TB of disk in RAID1 configuration. Unlikely, within a cloud server, at a monthly cost comparable to that of a dedicated server with half disk space. Current processors have from 4 to 6 cores available to a single socket, which means you can get a higher computational power, dedicatedly to 100%. The same is true in terms of RAM, the standard is now 8 or 16 GB per single machine. If you have applications with intensive consumption of CPU, there no need to change this trend by climbing down or up, the dedicated server is currently the most economical solution. A dedicated server obviously does not offer the ability to control resources in a flexible manner, via API or automated control panels and does not allow to increase the resources of the machine in real time. There are still many business that do not require these features, do not require a 100% uptime and do not have a growth that they can not wait until the upgrade of the physical resources, in all these cases the server dedicated continues to be a good compromise between quality and cost savings, a way to access and dedicated resources at the same time have a fixed monthly fee. Cloud computing brings in a set of additional tools that change also how to use the platforms and their own design : a clear case in which the dedicated server appears to be limited is that of web applications that are growing exponentially. In this case, having a dedicated server means setting limits to growth and not being able to add resources in real time. When it comes to cloud computing refers primarily to an Infrastructure as a Service solution, or a cluster of virtualized machines that each offer guaranteed resources in terms of CPU and RAM and let you interact with the platform through a series of additional features that allow you to manage the operation of the individual claims. In most of the platforms there are also a set of APIs that allows you to take control of individual cloud server directly at the software level : in this way it is possible for example to verify the use of resources and increase them in accordance with a preset threshold, without is necessary human intervention. 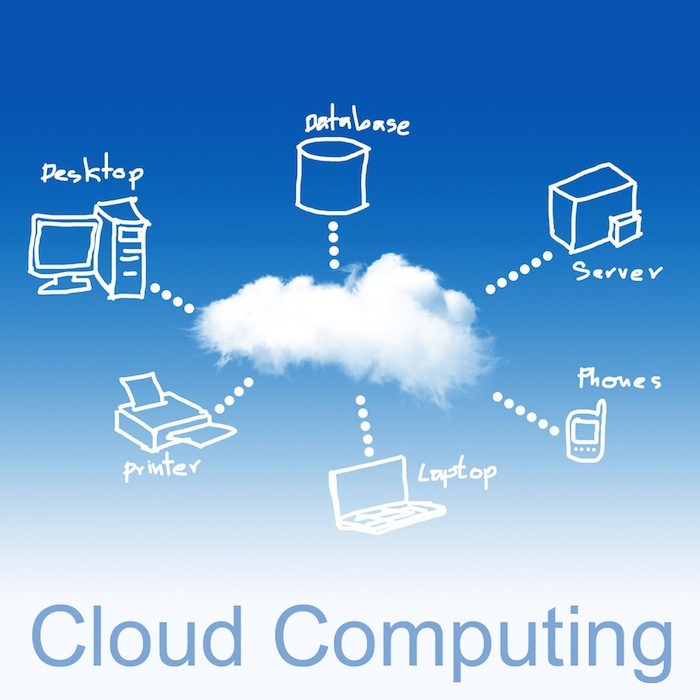 There are two main points that distinguish an offering of cloud computing. The flexibilit, or the ability to use resources only when necessary, letting the customer can also choose to enable the cloud server, but for a very limited time, allowing the customers to increase or decrease their spending time in real time. It is said that the resources allocated have a unit cost less than those of a physical infrastructure, but their ways of using totally changes, the customer consumes these resources only as long as necessary without any monthly or yearly contract. Finally, there is a further aspect to consider. The cloud computing platforms, as opposed to dedicated solutions are usually distributed across multiple data centers, an advantage enjoyed by those who need solutions for high availability and disaster recovery : the “failure” of an individual hardware component is almost always supported by the platform without any downtime for the end user, this is because the cloud server is actually redundant, and when the first fails, there is a mirror that remains online, on a different physical host. Depending on the chosen IaaS service, we can get an additional benefit which is not insignificant: the High Reliability. In case you have the ability to perform a refactoring at the application level, you can further simplify complex infrastructures going to use other tools available, such as object storage services or redundant DNS. This Article Has Been Shared 6447 Times! Cite this article as: Abhishek Ghosh, "Shifting From Dedicated Server to Cloud Server," in The Customize Windows, June 5, 2013, April 26, 2019, https://thecustomizewindows.com/2013/06/shifting-from-dedicated-server-to-cloud-server/.